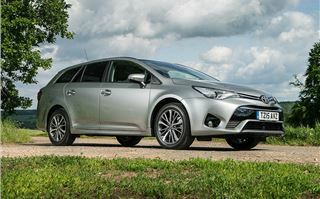 The anonymous Toyota Avensis has now been dressed in a sharp new suit, as Toyota aims to give it a more noticeable presence on the road. But the changes are more than skin deep. 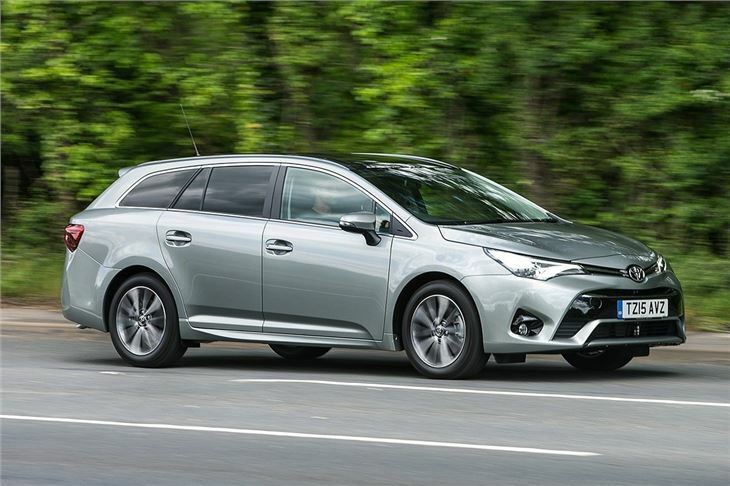 An updated cabin with plusher materials and new BMW-sourced diesel engines add some much-needed appeal, making the Avensis a solid, rational choice of family car. There are two new D-4D diesels joining the existing 1.8-litre petrol – a 1.6-litre with 112PS D-4D and a 2.0-litre with 143PS, the latter of which can also be found under the bonnet of the BMW 318d. 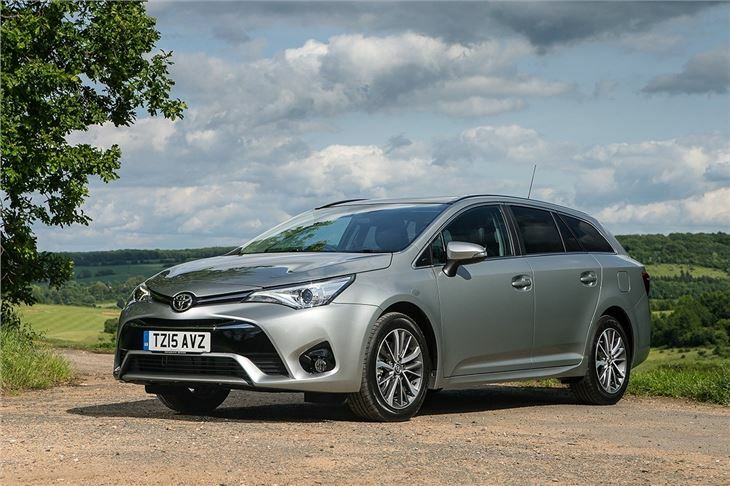 Toyota hopes these new engines will put the Avensis on the radar of company car buyers, thanks to lower emissions from as little as 109g/km in the case of the 1.6 D-4D. Unfortunately the 1.6-litre engine lacks the oomph you might expect of a diesel, with a flat spot low down the rev range. 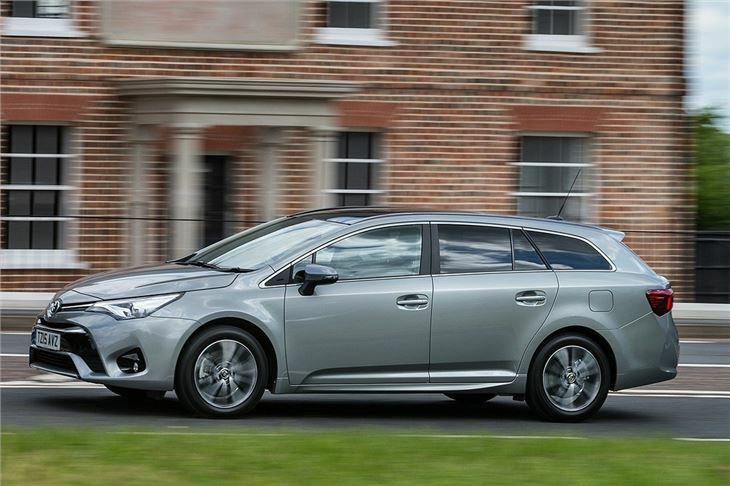 You need to keep the engine revs in a fairly small sweet spot to get any useful performance, meaning hills and overtakes need some forethought and a gear change or two. Thankfully the gearbox is smooth and the clutch light. 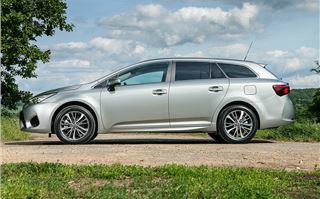 The 2.0-litre D-4D is much better suited to the Avensis, with more power, more torque and less noise. That’s not to say the 1.6 is loud – it is impressively quiet on the motorway – but the 2.0-litre doesn’t need to be worked as hard, so simply whirs along effortlessly. 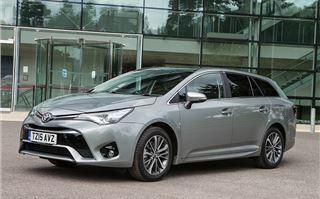 As a long distance motorway car it’s very good indeed, plus it is almost as frugal as the 1.6-litre. 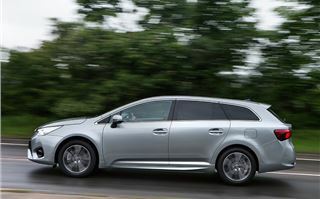 Emissions for the 2.0 D-4D are from 120g/km and economy is 61.4mpg. 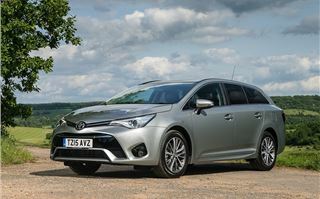 The revised Avensis doesn’t really offer much in the way of driving pleasure. 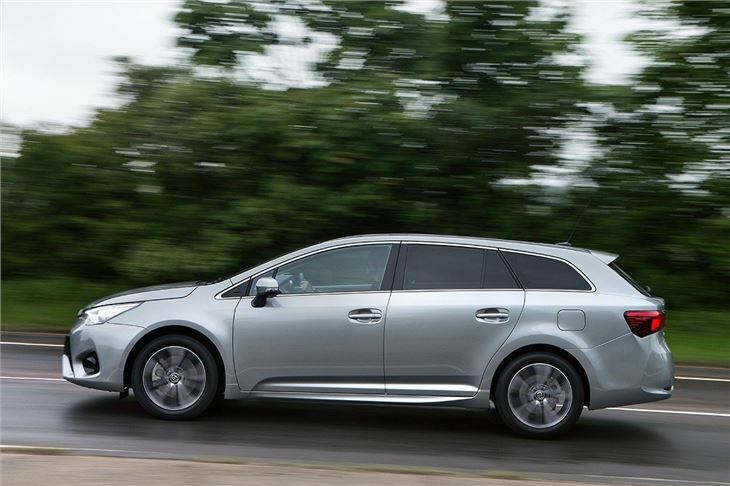 That said there is plenty of grip through twists and turns plus the steering is accurate, but there’s no real sense of involvement – the car just goes where it is told with quiet, assured confidence. 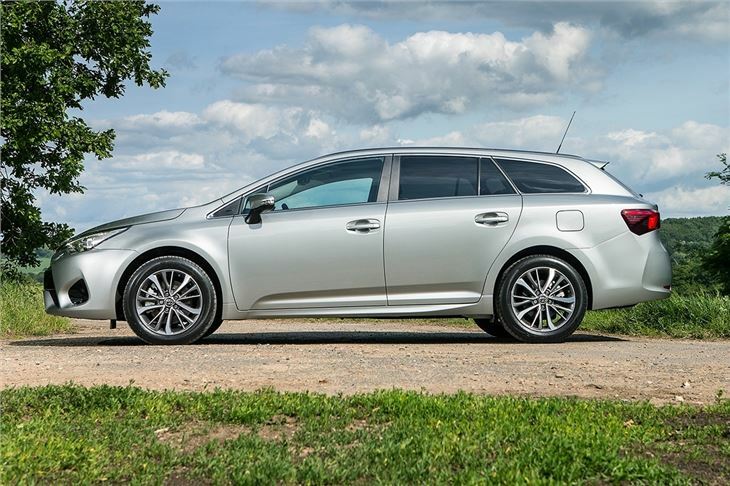 In fact, that is an apt description of the Avensis full-stop, it's very easy to drive and should prove painless to live with. The cabin has been heavily updated with a new dashboard layout and plush, soft-touch materials. It’s neat, simple and user-friendly – but doesn't feel quite as classy as a Volkswagen Passat. Most models get a large, clear touchscreen infotainment system that is intuitive to use and all cars have an electronic parking brake, which makes for a neat centre console with useful storage space. It includes a cup holder and a deep storage bin with a USB connection hidden inside it. There are also smaller cubbyholes dotted around for things like parking cards. 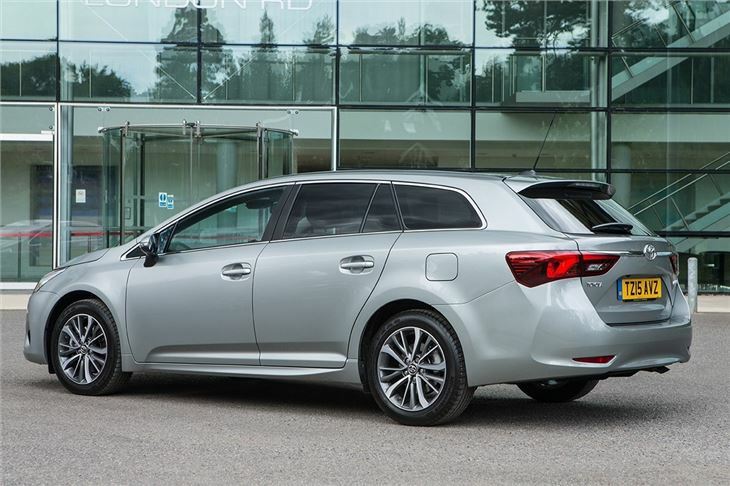 There are no complaints in the back row, where adults can sit comfortably, plus the boot is spacious and practically shaped on the Touring Sports (estate, to your or I) models tested here. 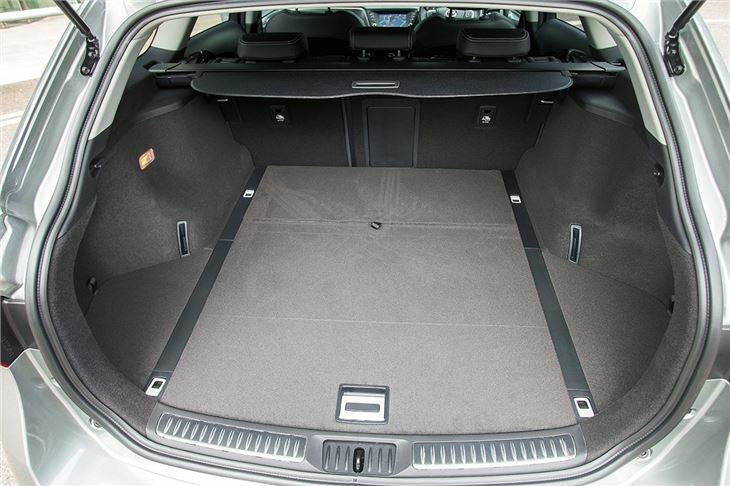 Load capacity is 543 litres with the rear seats in place, expandable to 1609 litres with them folded. 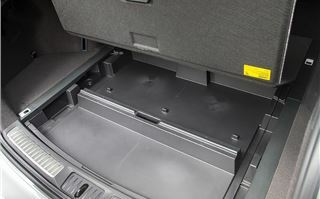 The load deck itself is flat and low, so loading and unloading is easy, plus there is an underfloor compartment for odds and ends, or to store the retractable load cover when it isn’t needed. 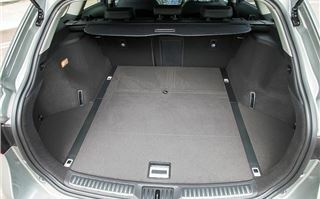 Additionally there is a ski hatch for loading longer items. 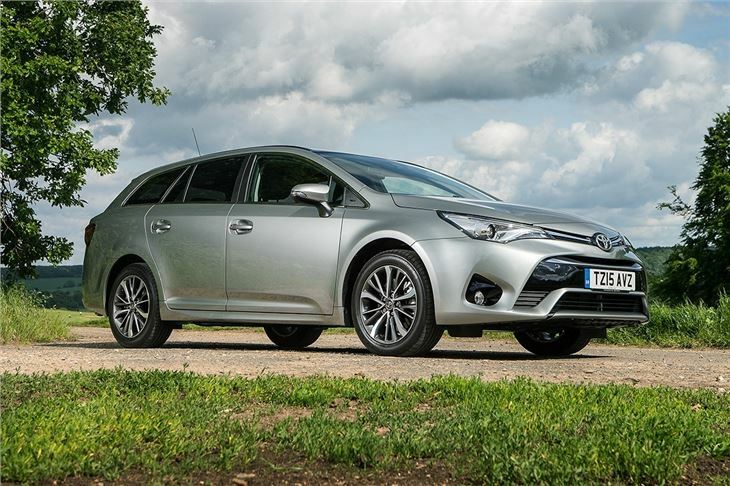 Toyota has fitted the new Avensis with up-to-date safety gizmos as standard, meaning all versions get automated emergency braking and cruise control. Moving up to higher trim grades adds road sign assist, which reads speed limit signs and presents them in the dashboard, as well as lane departure warning, auto lights and auto wipers - Toyota is expecting full marks from Euro NCAP. 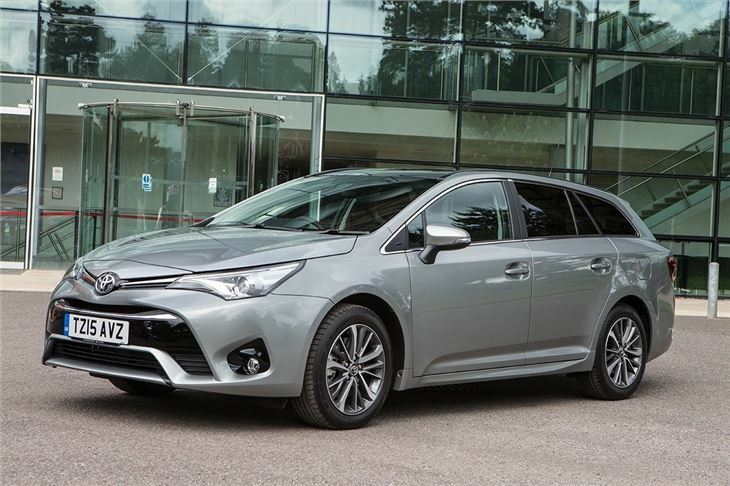 Besides the safety gadgets, Toyota offers with the Avensis with more or less everything a driver needs, providing you opt for a Business Edition model over the entry-level Active grade. 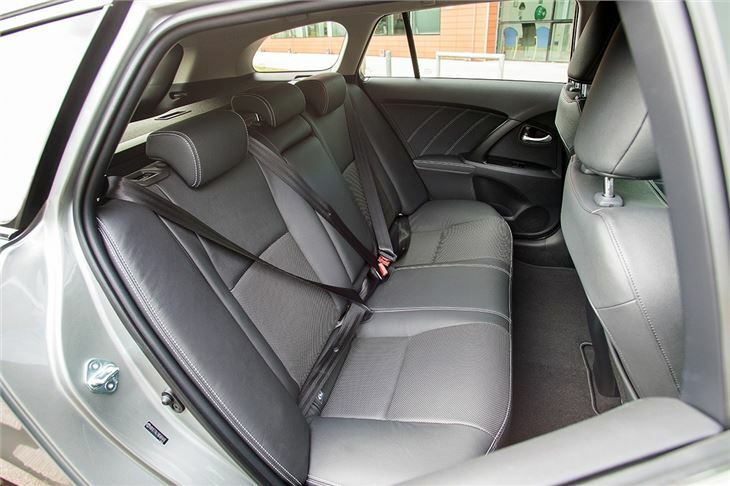 Business Edition models come with the touchscreen infotainment system, DAB radio, USB connectivity, alloy wheels, automatic air conditioning and artificial suede seat inserts. Business Edition Plus adds high-tech features including LED headlights, while the top-of-the-range Excel trim gets larger alloy wheels, an improved 10-speaker audio system, an electrically adjustable driver’s seat and full leather upholstery. 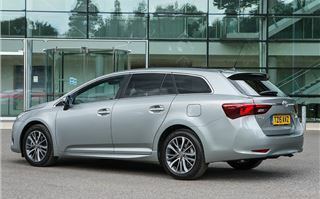 Though they are well equipped, Excel models are only offered with the 2.0 D-4D engine and they are quite expensive, with estate models priced at more than £28,000. 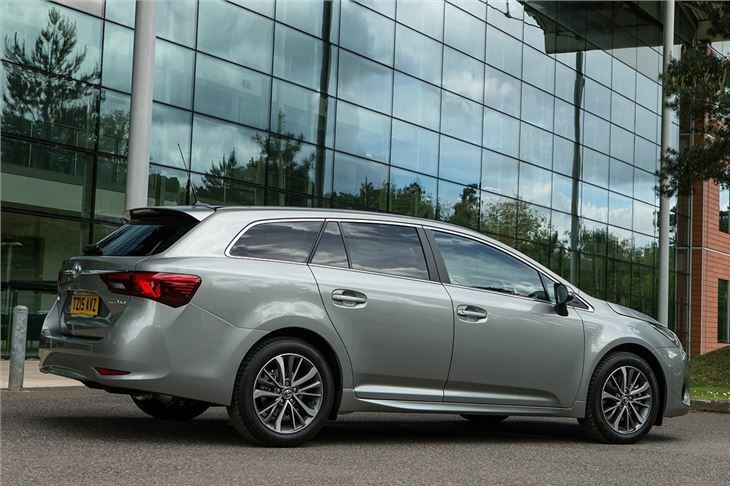 Competition from the impressive new Volkswagen Passat and Ford Mondeo is strong, but for those who value a relaxing, effortless driving experience and trust Toyota’s reliability record, the Avensis is a very good bet. 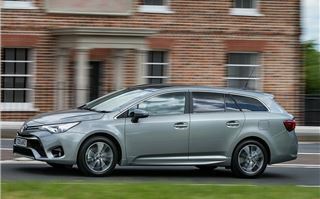 It might not have the prestige of a Passat or the dynamism of a Mondeo, but it’s still a very sensible choice of family car. 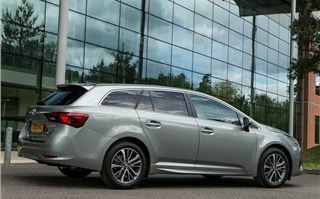 The updated Toyota Avensis is available to order now, priced from £17,765.